Site Selection Services - Twin Cities Development Association, Inc.
We have resources available to businesses looking to expand or relocate as well as several workforce solutions for employers. Available properties to meet your company’s requirements can be found here. 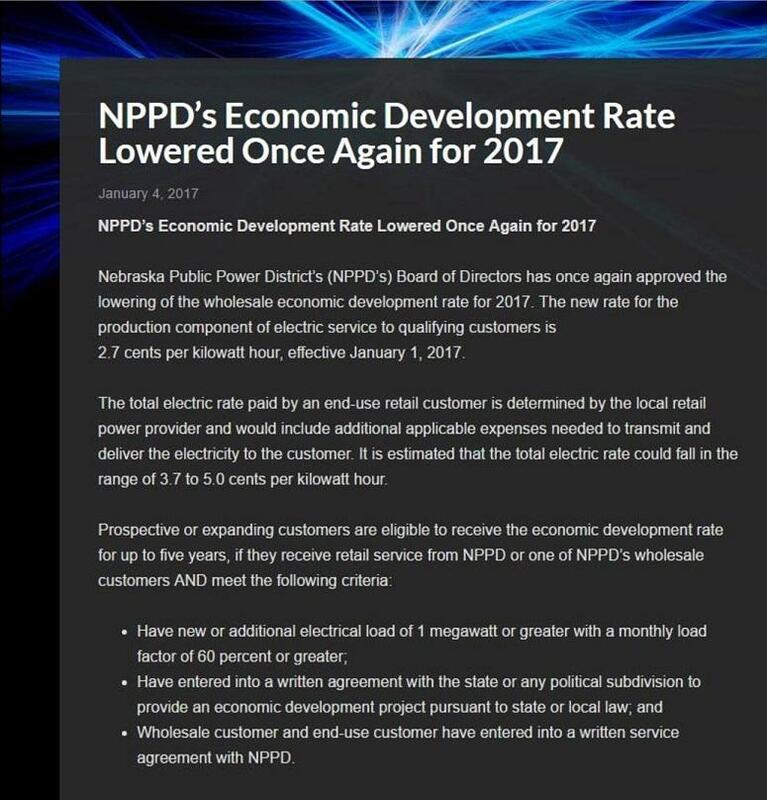 Western Nebraska prides itself on having low cost, reliable power. Our region is centrally located with interstate, rail, and air access. If you would like to submit a Request For Information (RFI), please submit requests here.